Color Blind Glasses: Do They Work? Color Blind Glasses: Help for the Colorblind? In the past, if your eye doctor told you that you had color blindness, there wasn't much that could be done about it. Most likely, you were told that being colorblind was a genetic condition and would not change, and that you probably should avoid tasks or professions that require accurate color vision. But with the development of color blind glasses, that advice may now change. Color blind glasses make colors more accurate and vivid for people with color blindness. What are color blind glasses? Color blind glasses are eyeglasses with specially tinted lenses that help a person with color vision deficiency see colors more accurately. Though color blind glasses will not "cure" color blindness, they give colorblind individuals an opportunity to see the world more accurately and experience a greater spectrum of colors while wearing the glasses. Color blind glasses also have very practical applications, such as helping a colorblind person choose and match the colors and patterns of their clothes (reducing the risk of odd color choices and mismatched colors). Wearing color blind glasses also might widen the career opportunities for someone with color blindness. Currently, the most popular brand of color blind glasses are made by EnChroma, a technology company based in California. Color blind glasses make colors more accurate and vivid for people with color blindness. Video: EnChroma, Inc.
EnChroma glasses were developed by Andrew Schmeder, a UC Berkeley-trained mathematician and researcher in the field of perceptual psychophysics, and Don McPherson, PhD, a glass researcher who, prior to co-founding EnChroma, invented laser safety glasses for surgeons. According to EnChroma, the underlying cause of most color vision deficiencies is an abnormal overlapping response to light by specialized cells in the retina called cone photoreceptors. This problem most often affects cone cells that normally are sensitive to either red or green wavelengths of light, causing "red-green color blindness." To compensate for this abnormal overlap response, EnChroma lenses contain proprietary optical materials that selectively remove particular wavelengths of light exactly where the overlap is occurring. The result: more accurate color perception because the brain can now better distinguish red wavelengths from green wavelengths. EnChroma provides a color blind test on its website to test your color vision, and EnChroma glasses are available for purchase directly from the site. EnChroma glasses cost approximately $300 to $429 for styles with non-prescription lenses, and $450 to $600 for styles with prescription corrective lenses (single vision or progressive lenses). Another option for color blind glasses is the ColorCorrection System, developed by Dr. Thomas Azman, a Maryland optometrist. This is a trademarked system of customized filters that change the wavelength of each color that goes into your eyes, according to Dr. Azman. ColorCorrection filters are uniquely designed for each colorblind individual and can be applied to contact lenses as well as eyeglasses, according to the company's website. You can learn more about the ColorCorrection System by visiting colormax.org. People with color vision deficiencies who try color blind glasses for the first time often are amazed by what they see. Typically, they immediately see a broader array of colors and greater vibrancy of colors than what was "normal" for them without the glasses. According to EnChroma, as many as 80 percent of people with color vision problems may be helped by the company's lens technology. But each person's color vision deficiency is unique, and so is their reaction to color blind glasses. To find out if EnChroma glasses will likely help with your color vision deficiency, the company recommends that you take its online color blindness test or visit an authorized Enchroma retailer to consult with a qualified eye care professional. The company also offers a 60-day return policy for online purchases of Enchroma glasses. What is color blindness? Learn more about what causes color blindness and who is at risk. All about color blind tests Learn how your color perception is evaluated with color blind tests. 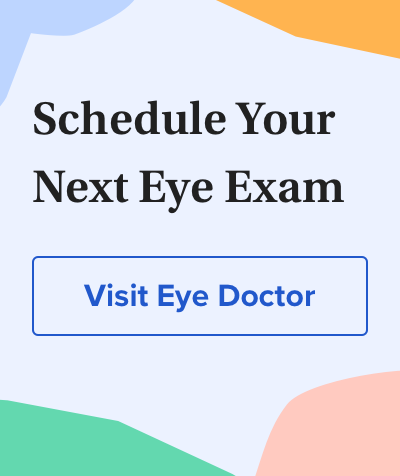 Other tests in an eye exam What to expect during an annual comprehensive eye exam. Concerned about cost? The cost of your eye exam may be covered by vision insurance.